We are going to take a PMO as a black box, and focus on how the PMO/Program Manager can manage external relations from diplomatic, marketing, public relations, international relations, corporate culture and political perspectives. This involves cooperation between the PMO and other entities in or outside the enterprise, to facilitate a successfully organizational integration. After an in depth study in , we can abstract out a few root causes of PMO implementation hindrance. The PMO vision and role is not clearly defined. There is no complete consensus regarding its purpose, its responsibilities, and its authority. It has slowly evolved. Not enough executive stakeholder support. Not all of the senior executives were equally enthused about the PMO concept. Authority was primarily being developed bottom-up through the value of the PMO services. Even this was limited to those functional areas and IT areas actively engaging the PMO. There was no current plan to enforce usage at the enterprise level. Corporate culture limitation. Corporate cultural change had been informal. They never treated PM, PMO, formal processes seriously. Normal Operation Processes and function units have to change their culture, behaviour, and even habits if they work with a PMO. No support from department management. Department managers may see no value in introducing a PMO in their projects. Also there are political conflicts as well, with managers worrying about the PMO getting to much authority. Hard to prove value before the PMO can get more support. This is a chicken and egg problem. The senior IT managers encouraged a slow, incremental strategy (baby steps) that would allow the PMO concept to prove itself with small victories won through mentoring one project at a time. While proving themselves, they may fail the challenges of addressing all the cultural limitations and barriers. The PMO had raised issues that had proven too controversial to resolve immediately. Diplomatic perspective - How to approach and broaden Senior Executive Stakeholder support. Public Relations perspective - How to let everyone know about the PMO in your enterprise. International /Global relations - How to leverage the PMO to co-ordinate activities outside the enterprise. Political Support - How to establish conflict of interest policy. Corporate Culture perspective - How to work with Human Resource Department to change people cultural behaviour. Diplomatic Perspective -How to broaden Senior Executive Stakeholders support? Teaching the PMO management and CIO to approach and socialize with all the CEO, VPs, CIO, project offices, project managers, resource managers, and other senior executive is beyond the scope of this paper. However this is the very important first step of the whole campaign. In short we can get some insight from PMBOK  , Communication Management and Planning. What and how (format, content, level of details, frequency) information will be delivered. There are other aspect like risk identification matrix, procurement plan and change control plan. Notice getting executive stakeholders support for the project is just like establishing alliances with the countries. Moreover do not limit your PMO by making alliances only with the executives, however getting top management support is a first crucial steps. In an enterprise we can think about making alliances with organizations such as Human Resource, Public Relations, Finance and Audit etc. All these "friendships" will help the PMO to promote itself and facilitate changes throughout the enterprise. We will elaborate on how some of those departments help a PMO implementations. You can never reach the top if you don't have a good sales package. Executives are not going to buy your idea. One executive who realises the importance of the PMO is not enough. You need everyone to support you. This paper is not trying to teach the PMO how to be a good sales person. We would like to introduce some add value jargons PMO can use to turn executives on. We will be shallow in this section with literature review that would not touch any details. People can further pull out data from the case studies of the literature to demonstrate the track record of PMO success. Process-Driven Project Management Office Implementation . "To be effective, a process must be well understood by project stakeholders and consistently enforced by management." The methods used to build the program management processes can reduce the organization's resistance to change. The value added, event driven and function allocation tools can increase efficiency of the PMO implementation and ultimately reduce the cost of building and maintaining its processes. On-going performance measurement, monitoring and improvement system. Evolving the Project, management office . "The five stage evolution models for PMO. The path toward sophistication (project office -> basic PMO -> standard PMO -> advanced PMO -> Centre of Excellence). PMO implementation is business integration activities. Not all organizations need to evolve to stage 5 and not all functions needed to be implemented, depending on the organization needs. A Project Management Office (PMO) Framework for successful Implementation of Information Technology Projects  . Enterprise Critical Path, results oriented, framework (Organization Mandate -> Philosophy Results Focus -> Mechanics (PMO Operations) -> Domain (Project Delivery, Portfolio Management). A multi-phase research program investigating project management offices PMOs : Center of best practise, show value for money. "The structures, roles, and legitimacy of PMOs vary significantly from one organization to the next." Many different properties can be used to differentiate "types" of PMOs (Monitoring and Controlling Project Performance, Development of Project Management Competencies and Methodologies, Multi-Project Management, Organizational learning, execute specialized tasks for project managers (e.g. Prepare Schedules), Manage Customer Interfaces, Recruit, Select, Evaluate, and Determine Salaries for Project Managers. Project Management Sophistication and EPMO . "Team focus versus enterprise focus functions"
The program management office: establishing managing and growing the value of a PMO  . There are two themes. The first themes talks about three main roles of PMO. The second talks about approaches and techniques for gaining organizational support for implementation of a PMO. With a more professional and powerful presentations, hopefully you can turn on the executives and gain support from the organization. Public Relations perspective - How to let everyone in your Enterprise know about the PMO? From the case studies, you can see the PMO changes involve everyone in the enterprise. Merely touching the heart of the king(s) is not going to bring you any success. You would like everyone in the company to participate in the change. One thing is to get visibility of the PMO across the enterprise and let people know why we need a PMO. We should consider this as a public relation campaign (PR). Researching how to organize public relations event is out of the scope of this paper. However departments can learn from the work undertaken when organizations carry out exhibitions and workshops, or even fun fair or charity events to promote what they are doing. Besides demonstrating why we need a PMO and what is a PMO, the important key to success is that everyone in the organization can participate in providing comments for building the framework of the PMO. Therefore they can develop a sense of achievement supporting the PMO implementation. International/Global relations - How to leverage PMO to co-ordinate activities outside the enterprise? Having a single focal point from project managers to external vendors and contractors. Central focal point of procurement management. Instead of merely focusing on changing the ways people have been doing things, PMOs should also try to bring more external support to help local project managers with things they do not know how to do. Hopefully this will help department managers and staff to establish trust with the PMO and gradually gain support from them. Corporate Culture perspective - How to work with Human Resource Department to change people culture behaviour? A solid understanding of the organizational culture mitigates the likelihood of touching off cultural "hot buttons" that can negatively impact perceptions by the target audience. Enhance effectiveness and lower resistance by focusing on the adult learner, reflecting the real work environment, and recognizing that adapting the PMO change can be meaningful and fun. By taking the initiative and implementing the strategies, hopefully the external relations of the PMO can be enhanced and gain top to bottom organization support. In this way the implementation and maintenance of the PMO can be improved. Light, M, (2000). The project office: Teams, processes and tools. Stamford, CT: Gartner Research. Gerard M Hill, Fall2004, evolving the Project, management office; a competency continuum. Dr. Parviz F. Rad, PE CCE and Dr. Ginger Levin, (2007), Project Management Sophistication and EPM. Diana Mungai and Linda Osgood, 2009, Transforming Culture at the Public Building Services. Christopher Del Angel, Joe Froelich, Nov 2008, Six Sigma: What went wrong? Customer relationship management. 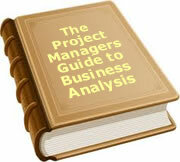 author, (2003), Project Management Body of Knowledge (PMBOK), Project Management Institute. To date, 11 people have rated this article. The average rating is 4.64 - Add your rating. Just select a rating and click the button. No other information required.